The hanging basket on our roof garden faces some big challenges. The hanging basket has to be able to withstand strong gusts of wind and direct, drying sunlight for most of the day. Last summer we went through three different hanging baskets. 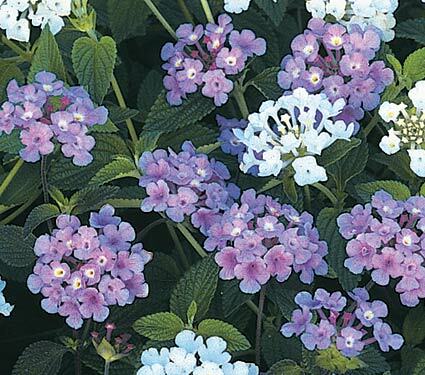 The lantana performed the best, so we knew we’d make lantna the center of this summer’s hanging basket. I ordered the three plants from White Flower Farm for our hanging basket last night, working from the thriller, filler, spiller model. 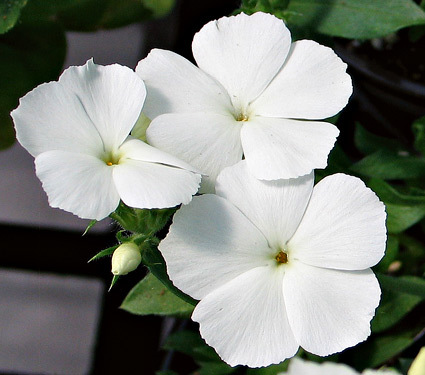 For the thriller I chose Phlox intensia in white. We try to put white flowers in almost every pot, since white flowers are visible late into the night, when we often visit our roof garden. “Even when the heat made other plants start to flag, this Phlox performed admirably. Lovely in window boxes against a dark background,” say the pros at White Flower Farm. I don’t think the Lantana is precisely a filler; last summer our Lantana was thrilling with the flowers blazing, unwilling in the sun and wind while attracting butterflies. Still, I am counting on the Lantan to fill up this pot all summer long; so let’s call it a filler. I’ve usually seen yellow Lantana, often called “ham and eggs”, sold locally. I decided to try something a bit less common – this purple and white Lantana montevidensis Lavender Swirl. Lantna is one of the best roof garden plants we’ve tried. Finally, the spiller. Our hanging basket is hung high up on an air vent pole, so I wanted a spiller that would thrive in full sun and grow Rapunzel style to hide the ugly pole. 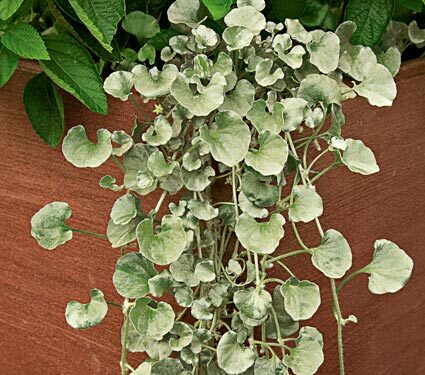 I picked Dichondra argentea Silver Falls because it grows fast and it “[e]njoys sun and drought. Unique.” I don’t think portulaca would trail this long. We’re planting this in a self-watering hanging basket. What do you think? Will this hanging basket survive the summer on our roof? 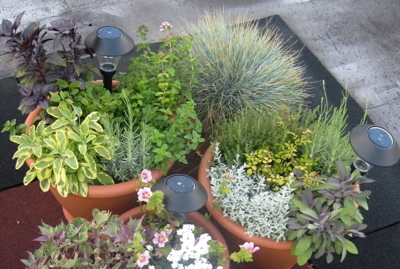 Our big goal for the roof garden this summer is to make it more lush and enclosed feeling. 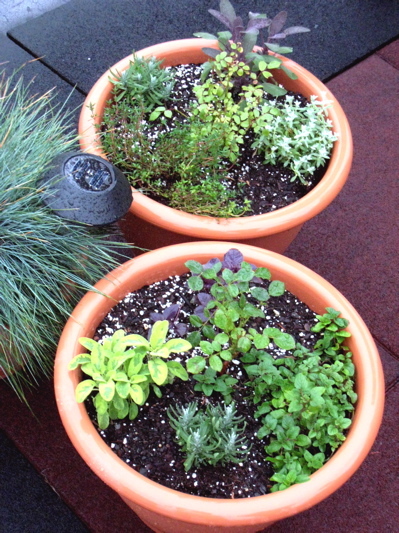 Less pots on a tarmac, more slice of drough-tolerant Eden in Brooklyn — something like that. At the start of the season, we added three small trees for structure. Today’s project is to add some vines, inspired by how O2B’s Brooklyn roof garden uses vines to create a sense of abundance and energy. #1 We’re planting Old Spice Sweet Peas (Lathrus odoratus), a sweet smelling Mediterranean native, and Black Eyes Susan vine a.k.a. Lemon Star (Thunbergia alata) in a small terra cotta window box. We hope it will grow up a trellis we bought online from Terrain. Neither of these vine projects were too expensive. So for about $25, we’re testing out three vines. Let’s see what we learn. Any advice as we get started? 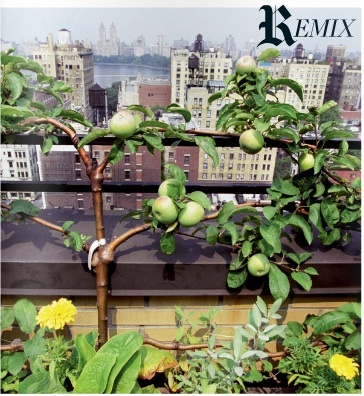 There’s an urban farming trend alert in the T Style magazine this weekend (click View Full Magazine, jump to page 19). 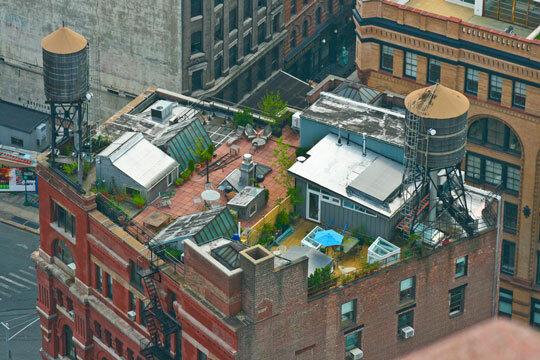 I like this photo, but learned more from a similarly themed urban roof gardening piece in the Financial Times. The FT piece also introduced me to the excellent London Terrace Garden blog. 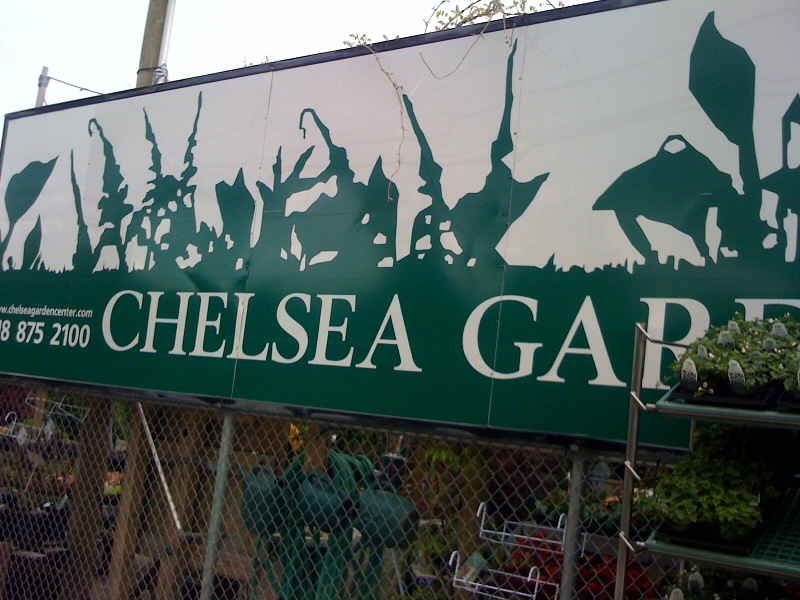 We went to Chelsea Garden Center in Red Hook, Brooklyn this afternoon. Our mission was to pick out two or three small trees. R* wanted the shrubs to give our little roof garden height and definition, plus a sense of seperation. $170 plus cabs later, we ended up with two Emerald Green Arborvitae (Thuja occidentalis ‘Emerald’) grown by East Coast Nurseries and a holly (Ilex meserveae ‘Blue Maid’). We had great help at Chelsea Garden Center. We picked these small trees because they can handle full sun and are somewhat drought tolerant once established. Also, I found a drought tolerant Heuchera called Dolce Blackcurrant at Chelsea and I couldn’t help adding two pots to our order. 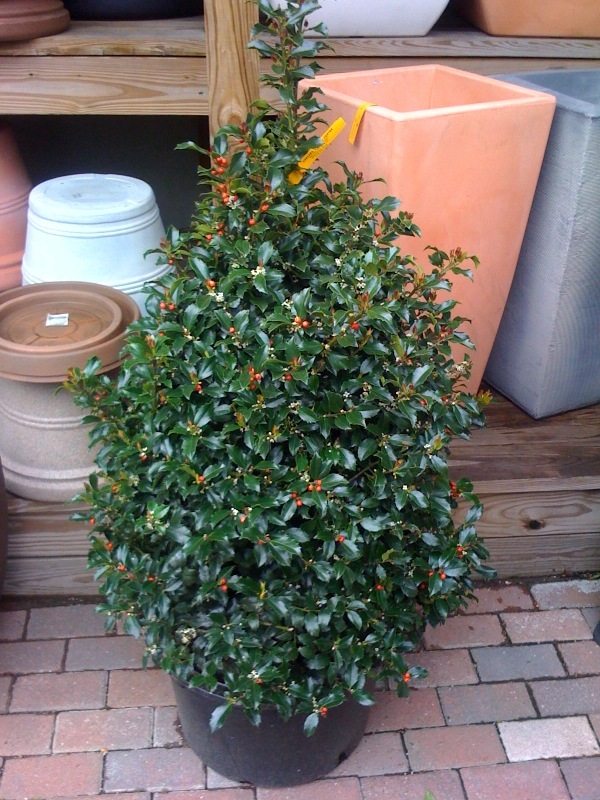 I loved this holly, but it was over a hundred bucks. We set our sights on a less posh plant. Since we weren’t sure how these plants would do on our particular roof — even with the assurance of the gardener working with us — we weren’t ready to invest in any one tree. Earlier this morning, we’d picked up red geraniums, mini white petunias, fiber optic grass and marigolds at the Grand Army Plaza Greenmarket. I’m looking for some advice on growing spring bulbs in rooftop containers. Can you help? We want to play some bulbs this fall and let them sleep up on the roof all winter and then bursting with some early color up there. Since our pots are 12-16″, there’s not much soil there to insulate bulbs over the winter. We plan on keeping out pots right along a white wall on our roof, which will provide a bit of insulation, but still it will be cold. And then if the bulbs survive the winter, it can get windy on our roof. It seems like we will need bulbs with sturdy flowers and short stems. Does this mean French tulips, a favorite of mine, are out? Seems like we’ll need hardy, short stemmed flowers. I’m planning on using the bulbs only once and then discarding them. This is not the most frugal way to garden, we realize, but we don’t have the space to keep the bulbs in our pots and there’s no cool dark place in our apartment to store them. 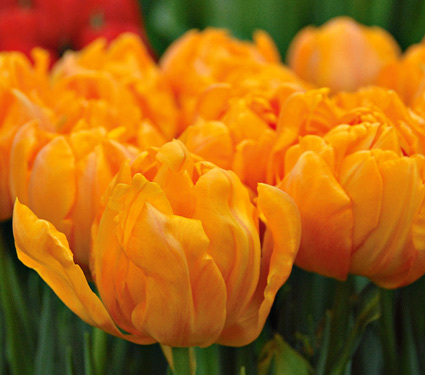 I really like the varieties of tulips that ColorBlends puts together, though their site seems to be down right now. 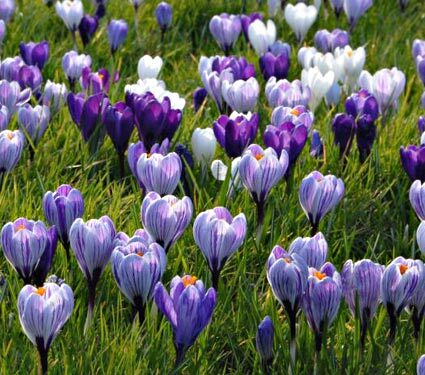 I also remember loving crocuses when I was a young child, so I think these would be fun. I was originally thinking of a pink and white color scheme, but I couldn’t find any short stemmed pink tulips . . . then I started liking these orange Orcas. They’d be great to cut and bring in the apartment and the color is great with purple crocuses.